1 Handmade Woman boots from ILOS finished natural leather model LR141 Fresia. Price starting from 210 EUR. 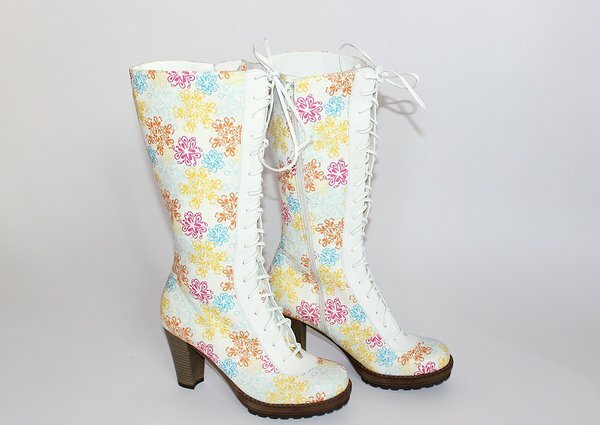 2 Handmade Woman boots from ILOS finished natural leather model LR141 Colourful flowers. Price starting from 220 EUR. 3. 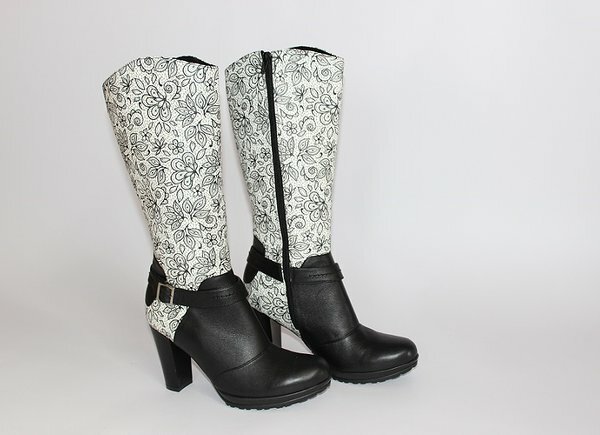 Handmade Woman boots from ILOS finished natural leather model LR66 White Lace in black. Price starting from 210 EUR. 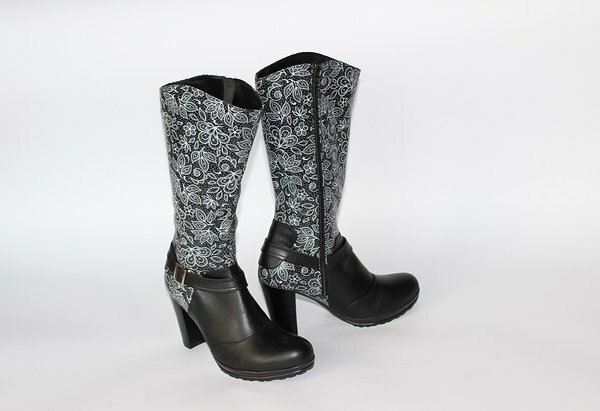 4 Handmade Woman boots from ILOS finished natural leather model LR66 Black Lace in white. Price starting from 210 EUR. 5. 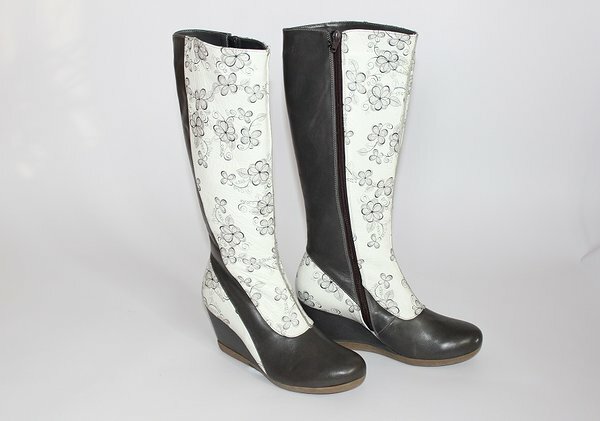 Handmade Woman boots from ILOS finished natural leather model LR218 Grey flower. Price starting from 210 EUR. 7. 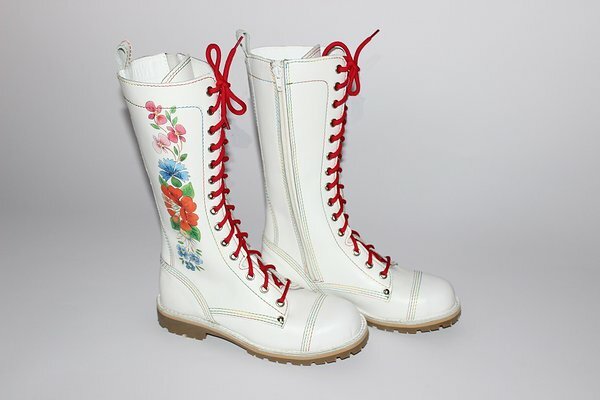 Woman white lace boots from ILOS finished natural leather model SAM 551582 Lace. Price starting from 140 EUR. 8. Handmade woman white lace boots from ILOS finished natural leather model "Cracking 1" - A3. Price starting from 210 EUR. 9. 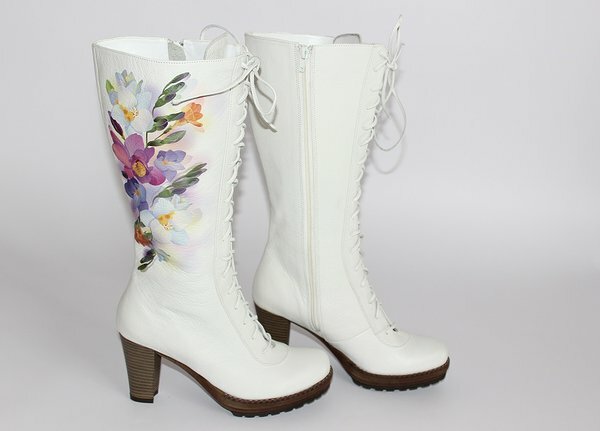 Handmade woman white lace boots from ILOS finished natural leather model "Tree-trunk 1 - A18" . Price starting from 225 EUR.